Be 100% confident with our unbiased evaluations and detailed home inspection reports! Real estate decisions are easy to make when you have all of the home inspection facts and you have a complete and detailed Home Inspection Report. A home inspection is for buyers who want to know the true condition of the house. A home inspection covers all readily accessible areas of the home and focuses on the condition of systems and components. One of the biggest concerns of home buyers and building buyers is the structure of the building. Foundation issues can be very expensive to fix, so it’s important to know if the house or building you are considering purchasing is structurally sound. Radon is a radioactive gas. You can’t see radon. And you can’t smell it or taste it. It kills over 21,000 people in the US every year. Are you concerned or curious about mold in the home you may purchase? While nearly every home has some presence of mold growth, some building types have a higher prevalence of issues with mold growth. Just like going to your doctor or dentist for a checkup, it’s good to keep an eye on the condition of your home too. Whether it’s annually or every couple of years, regular check-ups will save you money in the long run. For the 11th year, Anderson Home Inspection, has been awarded the prestigious Angie’s List Super Service Award. This is an honor bestowed annually on approximately 5 percent of all the businesses rated on the nation’s leading provider of consumer reviews on local service and health providers. 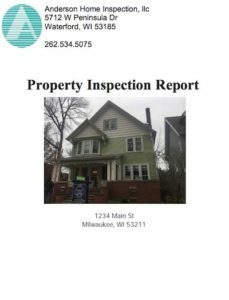 Visit Angies List to read or write your own reviews of Anderson Home Inspection LLC.